Following some residents queries and concerns about the NF development a meeting between Halfway Community Council and SLC Planning, Roads and Legal took place and HCC have obtained some information in relation to your community development. The attached site plans show the existing and proposed road layouts, bus infrastructure, proposed footpaths and proposed play parks for both Phase 1 and Phase 2. There are currently play parks in Plough Drive and Fallow Grove and new ones will be installed in the Barratt site (2D), between pods 2E and 2F and in 2I and at Honeysuckle Drive between pods 2A and 2B.1. We have also been advised that the Multi Use Games Areas at both new Primary schools are available for public use up until 10pm in line with other SLC facilities. We queried green spaces within the development itself and were advised that the ‘Conservation Area’ has been established on the site of the West Bing and a new path provides access from Plough Drive. The details of the planting are not currently available but we are expecting to see this soon via a hard copy map and will make available for viewing at our community Hub in Halfway. We also requested a hard copy of all the plans so we can make available. There was a number of residents concerned about the shared surface in some of the newer residential developments. It has been made clear that the design of different types of streets developed considers traffic flow/ speed/ users needs. The design is then presented as a shared surface, carriageway with footways on both sides, or footways on one side only (for residential roads). There is no blanket use of shared surface streets even though this is coming out from the Scottish government as guidance; these are only used where traffic speed and volume are considered to be low. SLC would accept a developer’s design if a traditional layout was proposed. SLC have agreed that residents need to be made more aware about shared surfaces and they have undertaken to speak to the developer about this to ensure that all prospective buyers are made aware of this and they also committed to putting told up road signs in the area to educate road users (see attached example) of this type of design so that drivers and walkers can respond appropriately. HCC discussed the lack of pavements and the 2m grass service strips in the new part of the development and requested that SLC discuss with the developer limiting this design in future developments following residents road safety concerns. The site map also shows the area to the south of the development/ at the start of the current main entrance to the development which is allocated for retail use. SLC indicated that this site would not be ready for building until at least the end of 2020 due to the gas and water pipes under the land which need diverted. We requested that SLC Planning dept. try to push this on with the developer as local residents are very unhappy about the lack of any shops and other amenities/ facilities in their area. HCC queried when the distributor road would be built (2nd main entrance to the east) and were advised it would be a couple of years before this was built. It was pressed upon them that traffic congestion was already bad in and out of that estate especially at rush hour and that if this could be speeded up residents would be a lot happier. Once we have the hard copies of the plans we will arrange for them to be displayed in the community hub in Halfway to allow local residents to view. We will continue to monitor the actions SLC have committed to taking forward and provide an update to you all and on our FB and website. It’s a venture capital investment project with no ECO/environmental advantages (only for profit). Huge lorries will come from all over the UK and the site will only employ approx. 20 people. 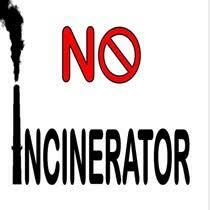 The incinerator will have to go into Home Reports for those selling their homes nearby. Cambuslang’s pollution levels are already unacceptably due to high volume car and nearby motorway traffic, existing waste incinerators at nearby Dalmarnock (Polmadie) and Coatbridge.